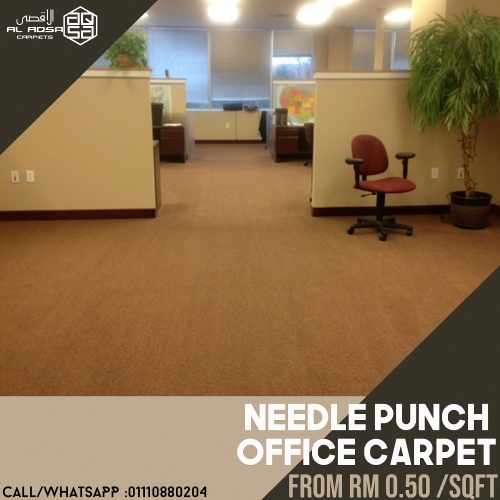 The Needle punch Carpet is provided in several designs and pattern with customized colors. Our carpets are designed by using superior quality fabric and embroidery yarns for the entire production process. Moreover, we make these available in the stock office carpet at most competitive prices. The carpets we offer are cost effective and extremely valued for their unique appeal that makes the surroundings more luxurious and appealing. Suitable for both indoor and outdoor installation, UV stabilized; this product is perfect for entry areas as integrated and seamless walk-off matting.